My parents went to Florida and came back fish lovers. "Not too fishy," they say when they order. "Is it mild?" they always question. Well, they've come a long way, and tonight we made fish. In our very own kitchen. And it was good! And healthy. And you should make it too. 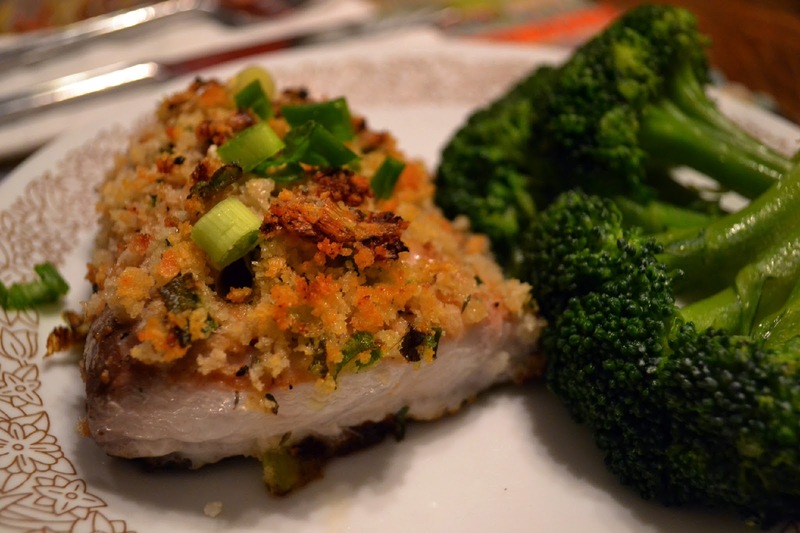 Mahi Mahi (also known as dolphin fish) isn't really a "fishy" fish and it's classified as mild mercury which means you can eat it four to six times a month. Works for me. 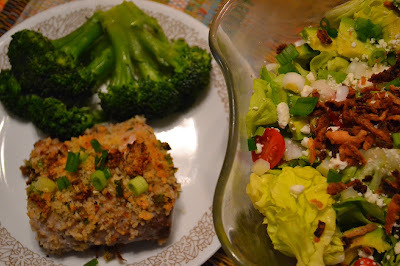 You'll see we use Panko bread crumbs in this recipe (from Wegmans) because they tend to hold up a bit better than regular bread crumbs. They stay crispy and have a nice cracker-y texture. 2. Spray baking sheet with nonstick spray; place fish on sheet. 3. Combine basting oil, panko, and green onions in a small bowl. Drizzle each piece of fish with 1/2 Tbsp soy sauce. Lightly season with Borsari; top each with 1/4 of the panko mixture. 4. Bake about 14 min, or until internal temp reaches 130 degrees. Check by inserting thermometer halfway into thickest part of fish. Remove from oven; let rest 2 min. 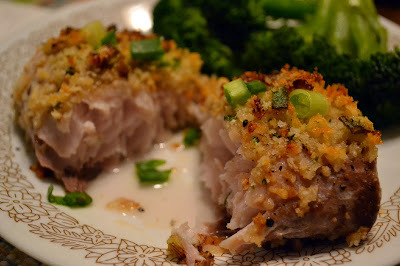 I've never thought of using panko breadcrumbs on my fish, but now that you mention it...I can't wait to try! Thanks for always making me smile with your words, photos and recipes. I hope that your Wednesday is full of joy!